What a glorious day to be Deadpool! Firing off weapons, crushing villains, eating tacos, what more could a guy ask for? Probably his own action figure, but that would never… WHAT! What’s this? Deadpool just got his own 12-inch Marvel Legends Deadpool figure. That’s right – step aside, “other” heroes, it’s Deadpool time. Featuring 30-plus points of articulation, detailed styling, and 14 accessories including a tiny burrito, this Deadpool figure is a pretty big deal. Elevate any Marvel Legends collection to MAXIMUM EFFORT with this 12-inch Deadpool figure from the Marvel Legends collection. Additional figures sold separately. Unicorn not included. 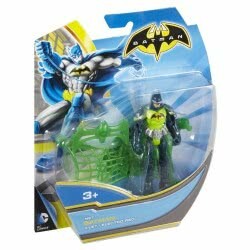 Includes figure and 14 accessories. 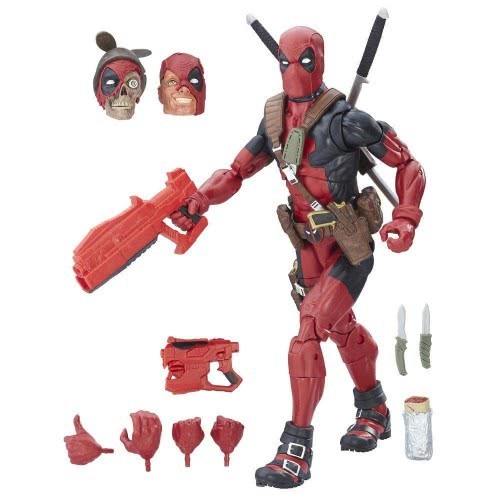 · Premium 12-inch Legends Series Deadpool figure with multiple points of articulation to practice Super Hero landings · Includes 2 sets of extra hands, including burrito-holding hand and thumbs-upping hand· Includes Headpool and Headpool stand (wouldn’t want Deadpool to lose his head) Action figure size: 12 inches · Ages 4 and up· WARNING: CHOKING HAZARD – Small parts. Not for children under 3 years.